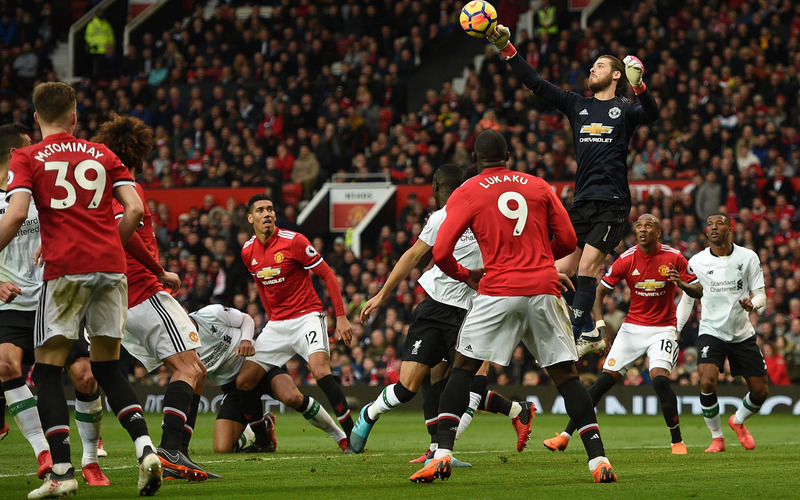 Manchester United and Liverpool will resume their heated rivalry when round 27 of the 2018/19 Premier League season is held this weekend. DStv and GOtv will bring the action from the English top flight. United and Liverpool will meet at Old Trafford tomorrow afternoon in a match which could have profound implications for both the title race and the battle for the final UEFA Champions League berth. Jurgen Klopp’s team defeated the Red Devils 3-1 when the teams clashed at Anfield in December 2018. That proved to be Jose Mourinho’s last match in charge of United, who have enjoyed a surge of positivity under caretaker manager Ole Gunnar Solskjaer since then. The Norwegian has overseen eight wins from nine unbeaten Premier League matches, pushing United back up the table and making them perhaps the favourites to finish fourth ahead of Chelsea and Arsenal – something which seemed unthinkable in the final days of Mourinho’s tenure. Yet it is the battle at the top of the table between Liverpool and Manchester City which is even more important: The Reds come into the weekend trailing the Citizens on goal difference, and this clash gives them the chance to reclaim an outright lead (with Pep Guardiola’s team playing in the League Cup final against Chelsea). Solskjaer’s United would love nothing more than to stymie Liverpool’s title hopes – even if it proves to help out their hated cross-town rivals – and we should be in for a fiery clash between two of England’s greatest football clubs. DStv and GOtv viewers will also look forward a double-header of matches on Friday night, as Cardiff City aim to put some daylight between themselves and the relegation zone with a win at home to Javi Gracia’s impressive Watford, while West Ham United and Fulham will meet for a London derby, which should be full of thrills and spills. Today’s highlights include a relegation six-pointer between Newcastle United and Huddersfield Town, Tottenham trying to make up ground in the title race when they face an in-form Burnley away from home and the unpredictable pair of Leicester City and Crystal Palace will meet at the King Power Stadium for the late kick-off. Tomorrow, DStv and GOtv viewers can choose between the United-Liverpool game or, kicking off at the same time, a clash which sees Arsenal looking to avenge their surprise 3-2 defeat at the hands of Southampton from December 2018.